Every day in May, to mark NZ Music Month, Gary Steel presents something local from his considerable behind. Personal archive, that is. Today’s surprise item? First published in the Strip, October 1996. 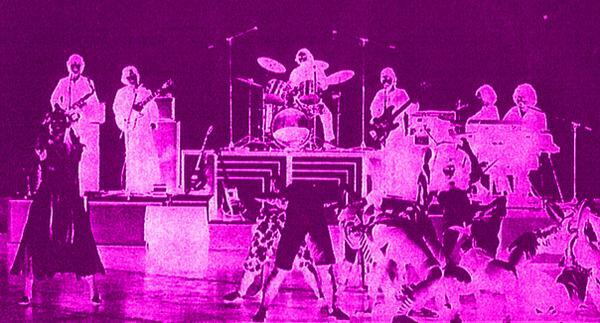 THE MYSTERIOUS GROUP, Schtung, formed in Wellington in 1976. In a move that makes legendary snail’s pace bands like Pink Floyd and Blue Nile look positively prolific, 20 years on Schtung have finally recorded their second album. Well, sort of. 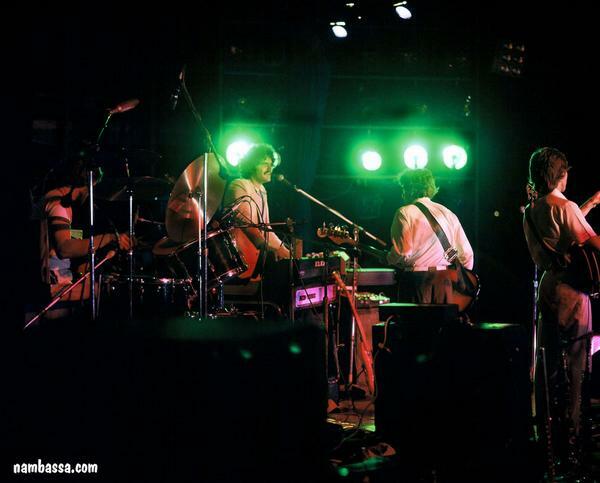 Formed by Wellington College pals Morton Wilson and Andrew Hagen, Schtung were a bunch of underground scruffs who adored early Split Enz and played a style that mixed up 10cc with Supertramp, and Peter Gabriel with The Beatles, along with a dose of surreal humour. 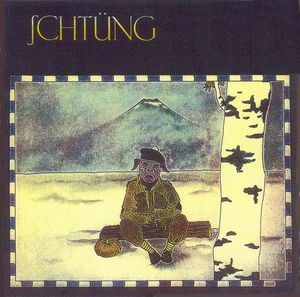 Schtung was destined to produce only one (self-titled) album; neglected, genuinely off-the-wall brilliant and long unavailable. They had disappeared off the scene by the end of the ‘70s, consigned forever to oblivion – or so we thought. Schtung has just signed a multi-album distribution deal with huge multi-national record company MCA. Only, this time, Schtung is based in Hong Kong, and it’s not a group, but a new record company about to unleash a slew of exotic, Asian-influenced CDs on the world market. When Schtung faltered at the end of the ‘70s, Morton Wilson and Andrew Hagen turned their talents to scoring movies (Sam Pillsbury’s Scarecrow is a standout), nature documentaries, and earning real money writing advertising jingles. By ’82, however, the NZ film industry was back in the doldrums. The government had filled the loophole that had allowed films to be used as tax write-offs, which drastically reduced the number made, along with film soundtrack work. On a tip, the twosome followed their noses to Hong Kong, where, within a month, they had completed a movie. Instead, they moved into the luxurious world of Hong Kong television advertising. In time, “the Schtung boys” formed a network of studios and musicians which allowed them to become one of the biggest music companies in Asia. Currently, Schtung has eight hi-tech digital recording studios, in different Asian cities, and one in LA, where Andrew Hagan now lives. A couple of years ago, Morton realised he had some free studio time – why not use it to do something purely creative? The first project, on which he worked for three years, was with studio partner Peter Millward, an ex-rock muso from the UK. This album – released under the name Celestial – is a tame but tasty little number, which marries the beautiful sounds of Asian classical music with a relaxed groove, in a style which reminds one of Enigma and Deep Forest, but with a rather more authentic feel. 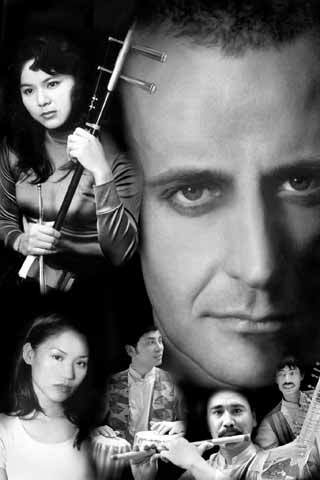 Peter’s project involved recording (and sometimes sampling) Hong Kong’s celebrated erhu (Chinese violin) exponent, Hsiao Hung, jazz guitarist Eugene Pao, Nepalese classical trio Sur Sudha, and others, then shaping his own contemporary ambience. At its best, the exotic sounds have the evocative, beautifully melancholy of Ryuichi Sakamoto’s appropriation of Chinese music for the soundtrack of The Last Emperor. Peter is heavily into current sampling technology, but mainly takes samples from instruments he has recorded in the studio. Celestial is the launch project for the Schtung record label, but it’s only one of many widely different projects. These include several traditional albums and Morton’s guitar-oriented album (his big influences are John McLaughlin and Pat Metheny). It’s a potentially exciting potpourri which, in a strange way – considering NZ’s recent influx of Asian migrants – reflects our own ongoing multi-culturalism. Schtung attempts to utilise traditional Asian influences respectfully, but doesn’t blanch at the idea of fusing them with contemporaneous styles, using the latest technology. Morton tells a story about a special inauguration he attended in Kathmandu to celebrate the very first CD of Nepalese traditional music. Potentially, Schtung (the label) could herald a kind of WOMAD-style scene with an Asian flair, which is a long way from the whiter-than-white progressive rock group from Wellington. For all that, though, Morton isn’t embarrassed by his formative days in New Zealand, and stands by the one and only Schtung album (though he ruefully mentions the master tapes are forever lost, making a CD reissue unlikely). He longs to visit New Zealand – he hasn’t been back to Wellington for 17 years – and has fond memories of the Schtung group days. He’s happily settled in Hong Kong – despite the impending Chinese takeover in ’97 – where he is married to a Chinese woman and has an eight year old son. 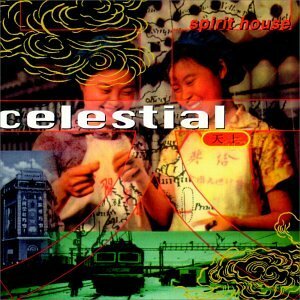 •	Spirit House, by Celestial, is out now through MCA. Note from the author: How very odd. I’ve always loved that Schtung album, even though it appeared just at the wrong time, with punk on the rise in NZ. I wonder what happened to the Hong Kong Schtung empire? I hear that Andrew Hagen is back in Wellington after all these years. * Don’t forget to check out www.audioculture.co.nz after May 31, where you’ll find a vast repository of NZ music history. Funnily enough the remaining five members of the band have been chatting this week – Universal is set to re-release The Schtung Album digitally, which is nice. A bootleg has been available for years online but official is always good. Andrew has one foot in NZ and one in LA, I am still in HK. We closed the Singapore & Shanghai studios because the model has changed – most composers / songwriters are working with Logic or ProTools at home so the necessity for full-blown studios declined. One of our former Engineers in SNG has a small studio now and we can work with ex-Schtung composers / players there when a project comes along and we have a similar situation with our former Studio Manager in Shanghai, and a leading Shanghainese Composer who worked with us for a few years. HK is still active – modest studio in Causeway Bay (there’s a Schtung Facebook page, BTW) and a network of composers and artistes here and scattered around Asia. Andrew & I have collaborated on a few album projects over the years and we all keep in touch – no immediate threat of a ‘the second Schtung album’ yet but who knows?